The information was available on Issue Tracker. However, it is still not clear which future Android build will have the feature. 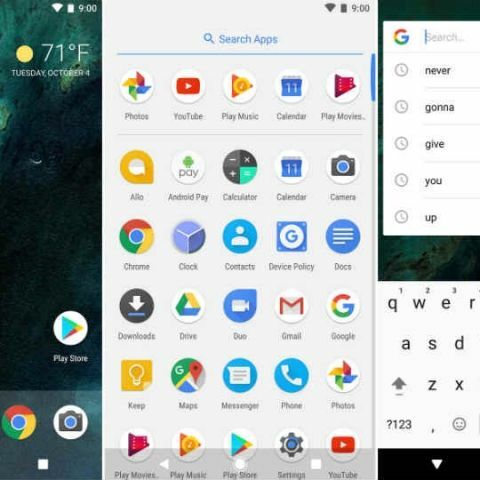 Until now, the Google Pixel Launcher used to automatically adjust dark/light themes on the basis of the wallpaper colour but Android Police has reported that in future Android builds, Google might roll out a feature with which users can manually choose the theme regardless of the colour of the wallpaper. The Pixel Launcher was introduced with Pixel 2 and Pixel 2 XL in October 2017. The development was first spotted by Android Police which noticed that in March a user added an issue in the Issue Tracker apparently seeking manual controls to toggle between dark and light themes. A Googler marked this issue as “FIXED” and added a comment saying, “We have added support for a Dark theme to be applied to quick settings and launcher under Settings -> Display -> Device Theme. It will be available in a future Android build.” However it is not clear whether the feature will come in the next Android P beta update. The development comes amid Google Pixel 3 XL leaked images which suggest that the new Pixel phones will have a notch on top of the display and a rather thick chin at the bottom and may sport an all-glass back. The Google Pixel 3 XL is expected to be powered by a Qualcomm Snapdragon 845 processor, and offer 4GB of RAM with 128GB of non-expandable storage. The 6.2-inch display will most likely feature a wide notch on the top and a thick chin at the bottom. Can power of amsrty can be set manually ? How can I set WiFi configuration manually in Windows Phone 7? Can you please assess this PC build for me?